I thought I was supposed to be in Sweden this week for another project workshop, but perhaps due to budget I'm here in Japan instead. 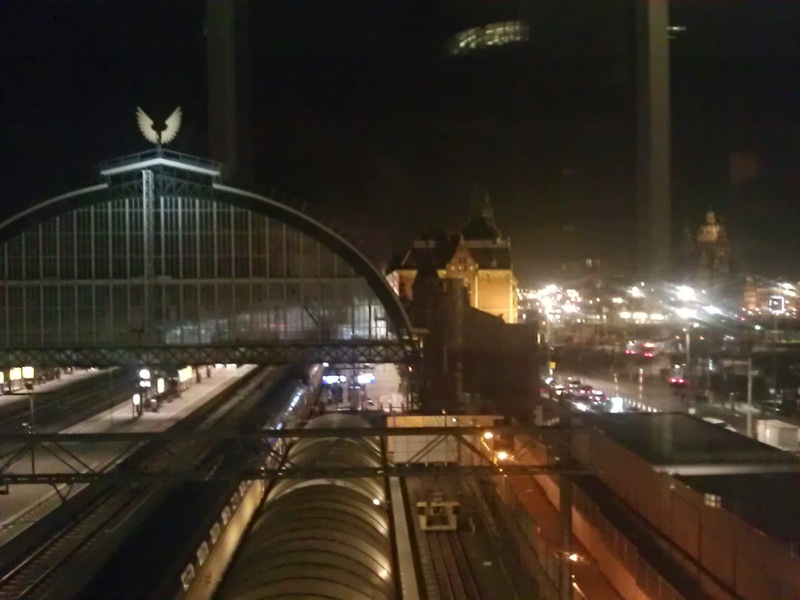 I secretly suspect it's because of the recent incident at work, but I'm kinda glad I'm able to catch up with me-time and spring cleaning and blogging about my last trip to Amsterdam. 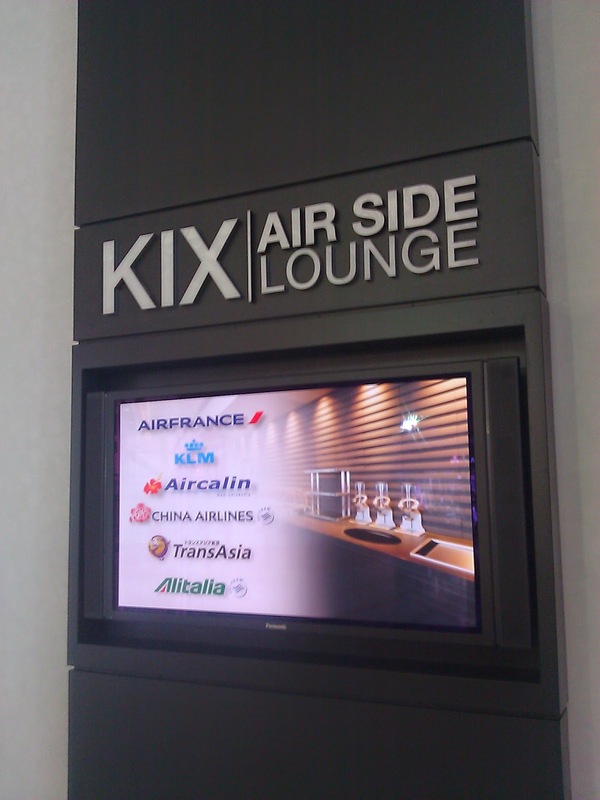 I had the opportunity to try out the KIX Air Side Lounge this time. I guess it was because I was now Gold on Delta Skymiles, so the check-in lady gave me a special pass. What a lovely surprise. 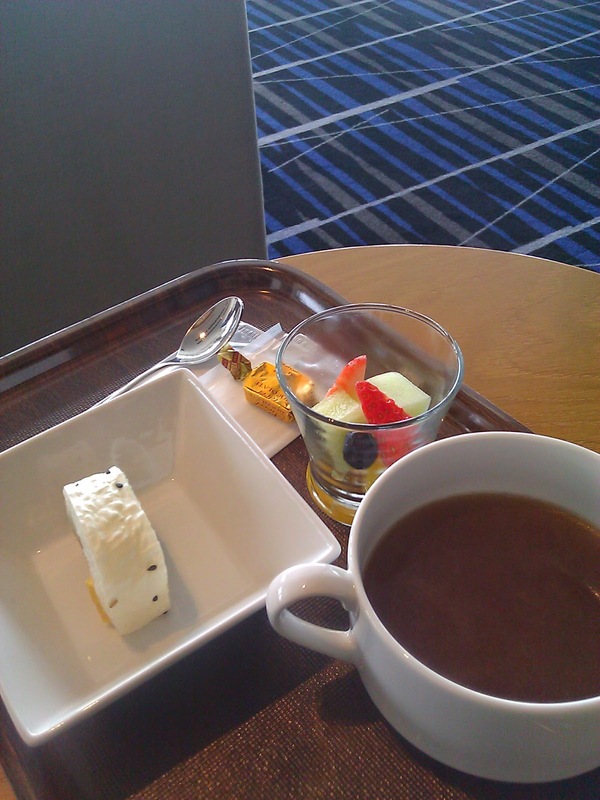 I bet the nicest would be JAL/ANA's own lounge, but I'm not complaining! 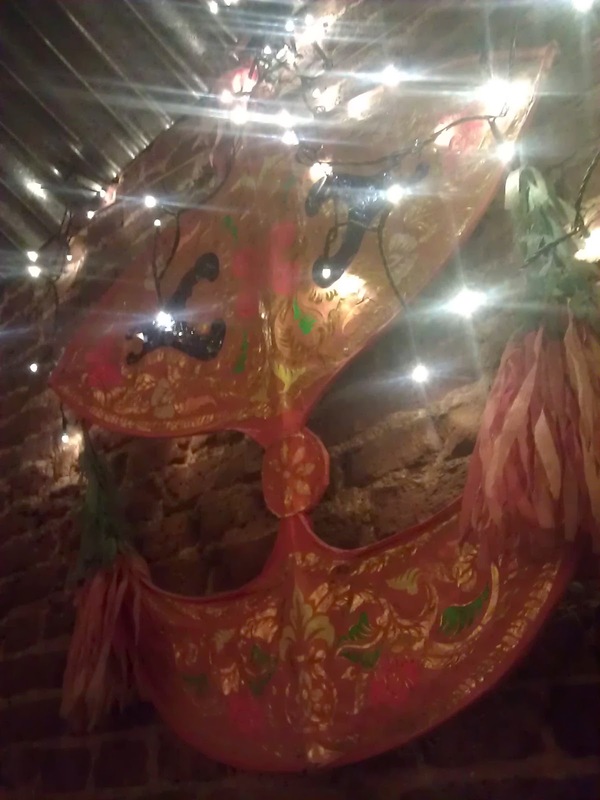 It's hidden in a little corner behind some cafes after the immigration checks. It has a superb view of the tarmac and the planes. Not too big but the atmosphere is pleasant and rather private. 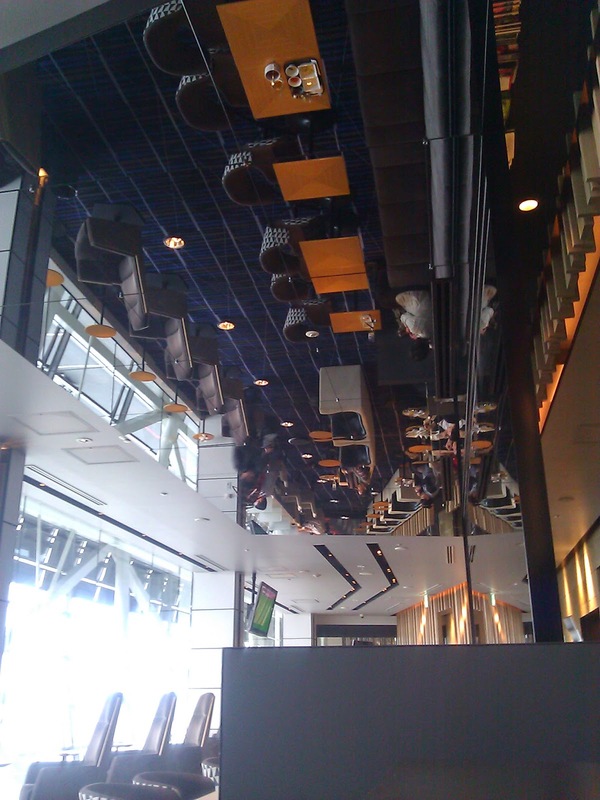 Since I didn't expect to enjoy a nicer lounge this time, I had only about 15 minutes before rushing off to the departure gate. So I grabbed some finger food to keep my tummy quiet while waiting to board. My onward flight ticket was booked very last minute, and confirmed just the day before in fact. So I lost my previous seat booking. But the silver lining is that I was able to choose a better seat while checking in online. Even though I'm tiny I still appreciate the extra legroom in Economy Comfort. I had been so worried with the last minute confirmation I would not be able to even get my flight, so was super relieved at this little upgrade. 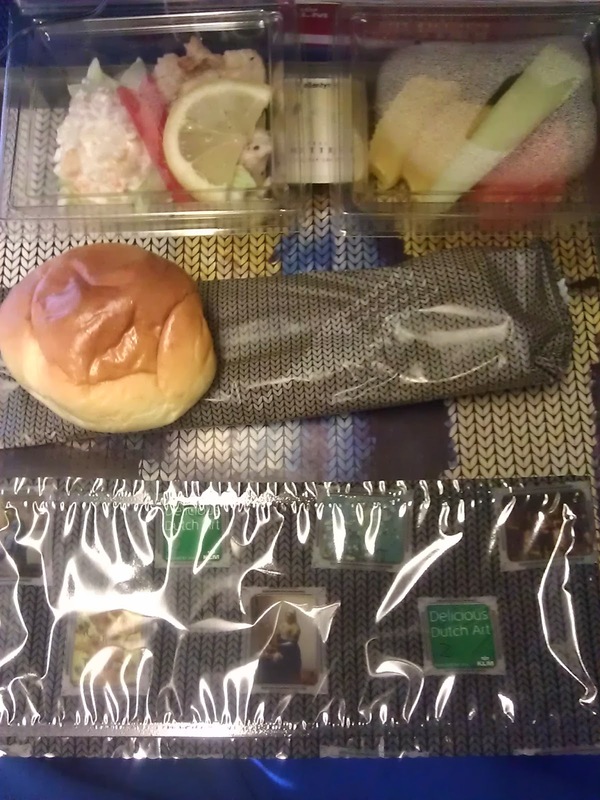 As always, love the in-flight food served on KLM. I have never tried Business nor First Class so am not in a position to compare, but from my experience on a limited number of international flights, I'd say this is one of the better ones. 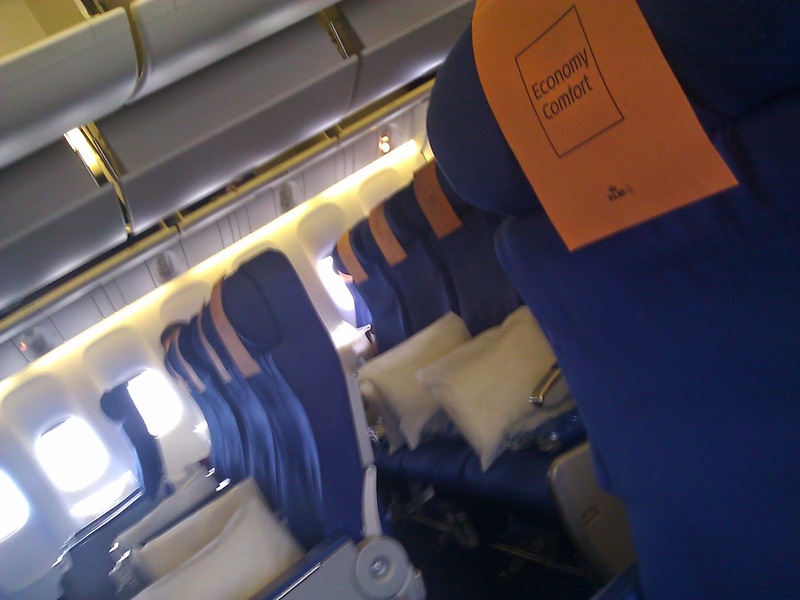 In fact, I've heard that KLM service and air flight attendants are trained exclusively for the Japanese market. Due to last minute confirmation, the usual hotels were all fully booked. 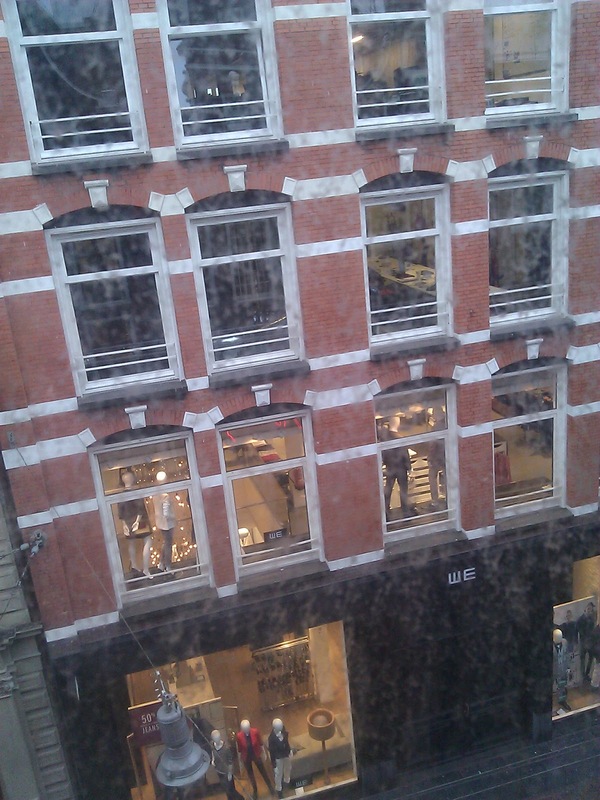 So we got the Ibis Amsterdam instead. It's a queer hotel located just above and next to the train tracks on 2 narrow buildings linked together via a bridge from which I took this photo. It's a bit hard to explain without seeing for yourself the shape and location, but needless to say it's the most convenient! We had a lovely dinner with the team near the office. Hoofddorp reminds me of Cyberjaya where there's almost nothing but corporate buildings on vast area of empty land. 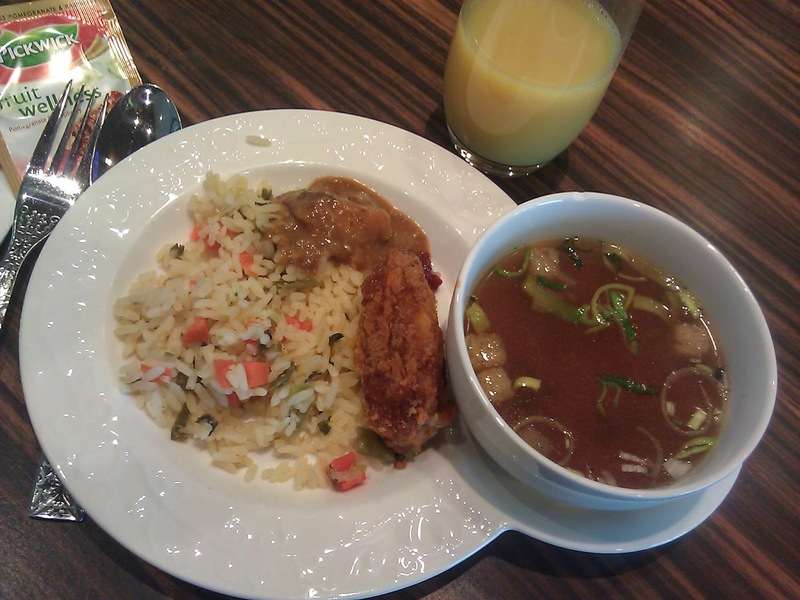 So I was delighted they had some decent food near the residential area. So this was not exactly authentic Asian food, and the writing on the plate bore no resemblance to Chinese characters, but look at the way they arranged the chopsticks! I had to give a little insight into Oriental culture and taboos to my Caucasian colleagues. 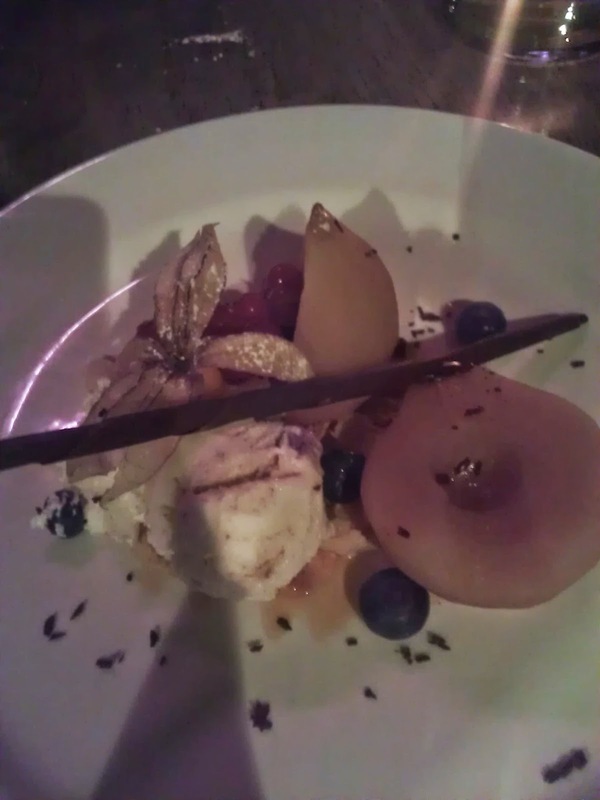 As if the huge plate of noodles was not enough, I was greedy enough to order desserts too. Having good food with good company is always good excuse to fatten myself up. 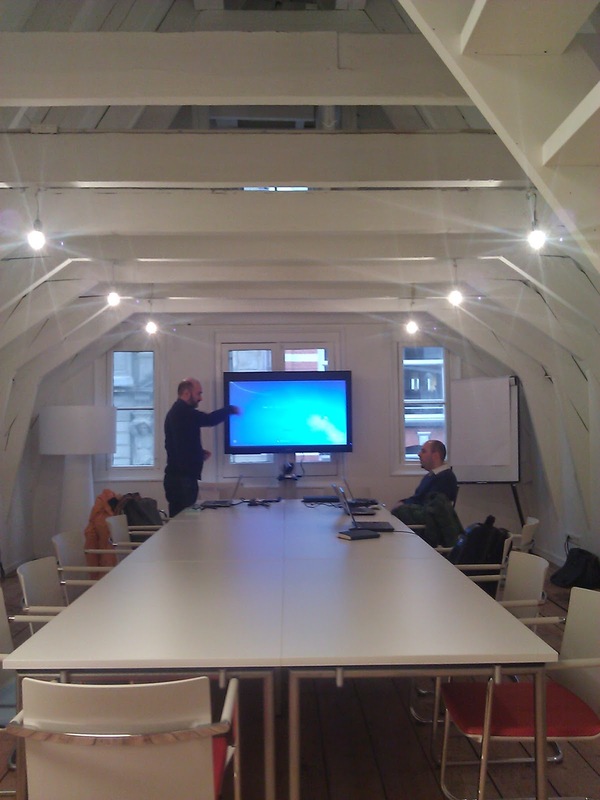 The OT office in downtown Amsterdam was pretty quaint, in a traditional Dutch office. 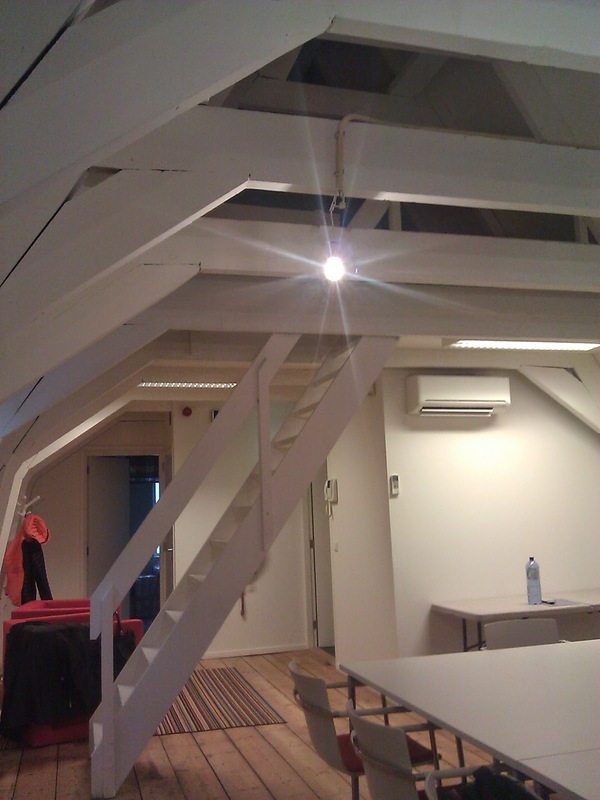 We had to climb narrow stairs to reach the attic where the meeting was held. An interesting conversation with the French manager got me realising that European buildings were made to last and insulate - hence bricks. He wondered why Japanese buildings weren't made the same way. We spend so much on heating because the buildings aren't warm enough and there's no double glazing to keep out the cold. On the other hand, it's good to know some countries preserve old buildings and renovate the interior to fit current needs. 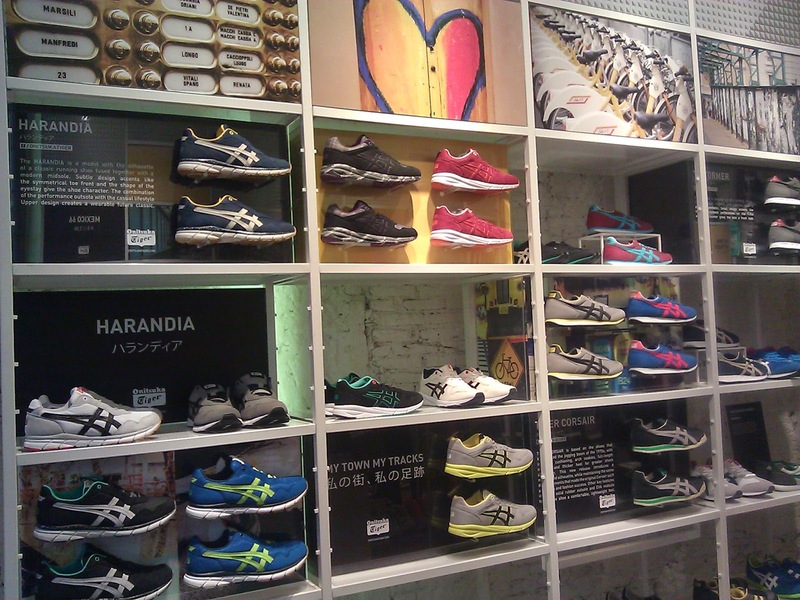 I got myself the famed Kill Bill OT shoe from here (well, not the original of course, but close enough)! 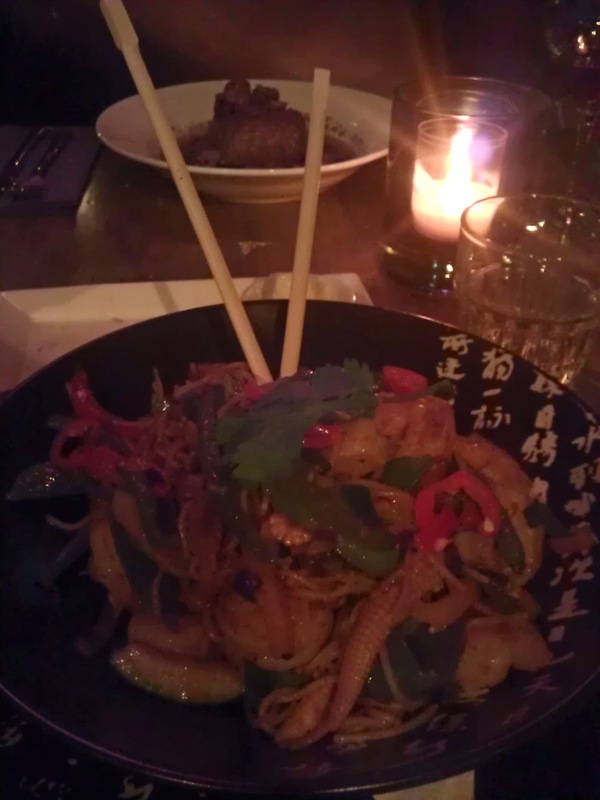 I've seen Wau many times as it was near my Thai friend's restaurant in Zeedijk street. Must be doing well judging from the positive reviews on TripAdvisor. 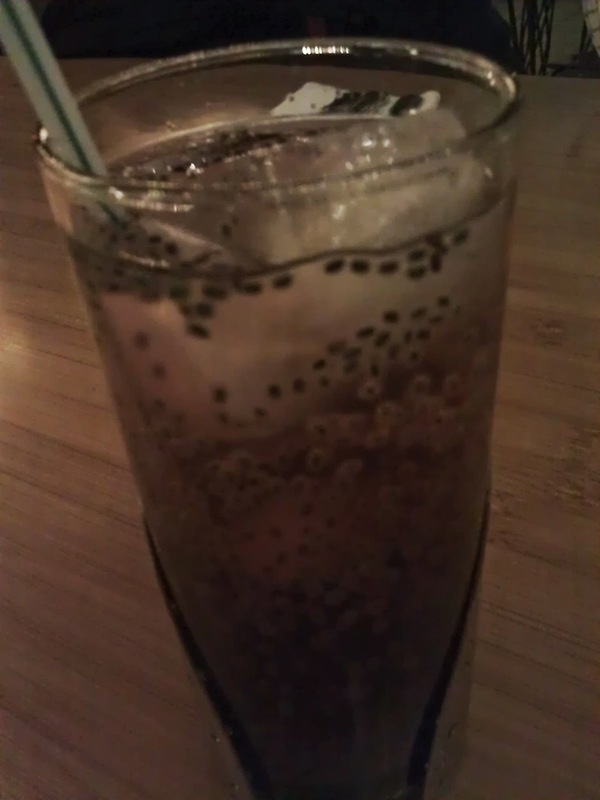 Can anyone tell me what drink I had - I have not had this for the longest time ever!? 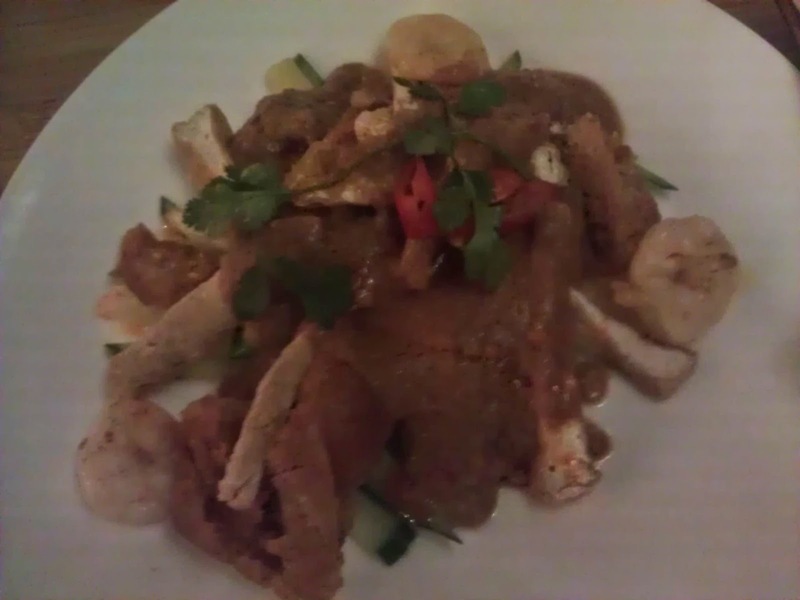 Gado-gado for starters. This made me miss rojak, especially those with freshly cut fruits. 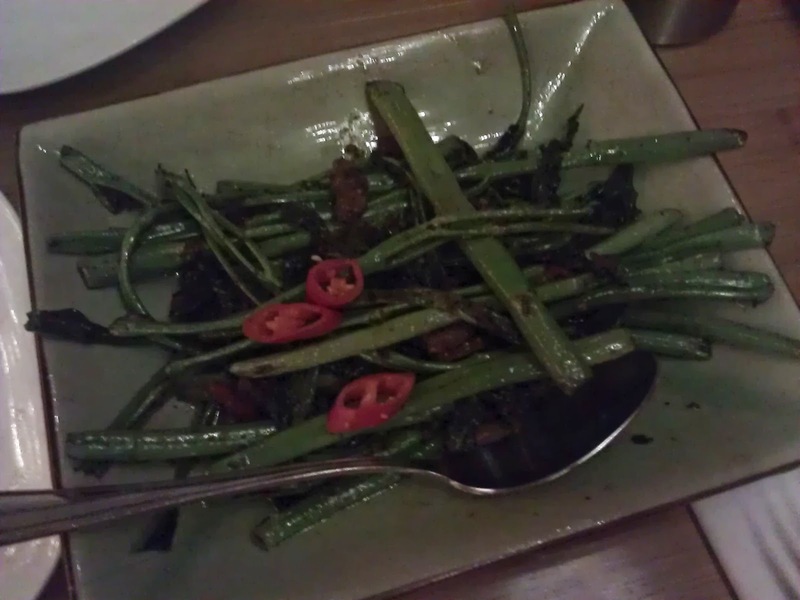 One of my fav dish - kangkung belacan. Think my tastebuds must have been domesticated - the spicy oil almost killed my throat. I try to have this everytime I'm back home. 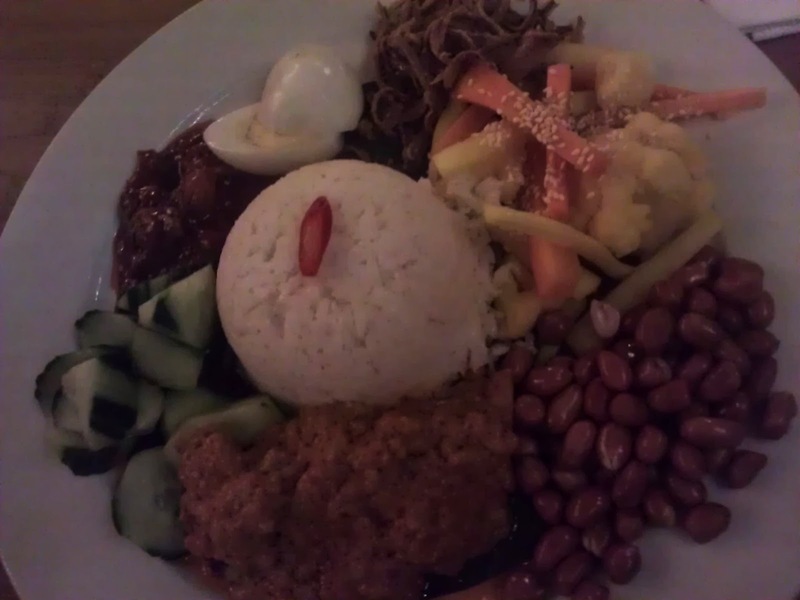 Of course, nasi lemak! I would have easily settled for the RM1 banana leaf wrapped minimal version, so this was way too luxurious for me - look at the glorious sides and generous sprinkling of colours. We were glad we shared, this was perhaps normal for Dutch portions. 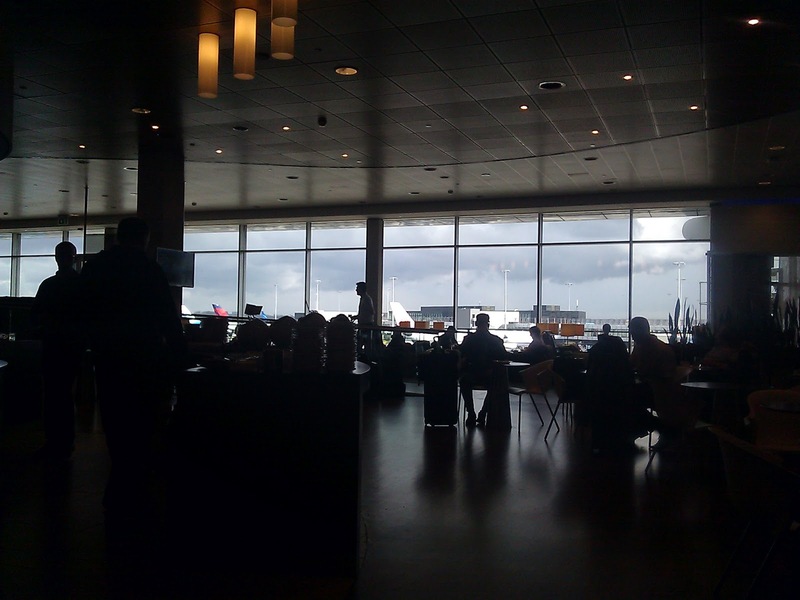 On the outbound flight, I tried for the first time the KLM Lounge. The location was such that I wondered if it would be worth it. The spaciousness kinda made up for it. Being an official lounge I suppose they had to cater for many passengers. Indonesian food is quite common in the Netherlands, but I was more than happy to indulge in something more familiar and closer to home. Being a colony country do have its advantages, just like how Indian food is supposedly the national food of UK now.